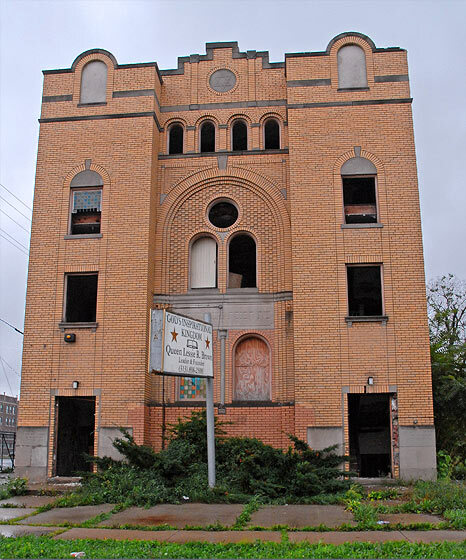 Mishkan Yisroel is a classic example of the numerous synagogues that filled a once predominantly Jewish district of Detroit, an area whose core was bounded by West Grand Blvd on the south, Davison on the north, Linwood on the east and Dexter on the west. As was the habit these synagogues frequently carried a more familiar name based on the street where they were located. Since Mishkan Yisroel was on Blaine just west of Linwood, it became known as the Blain Shul. With the Ten Commandments surrounding a Star of David at its top, the Blaine Shul with arched windows was in a Moorish influenced style typical of many other synagogues of its era. 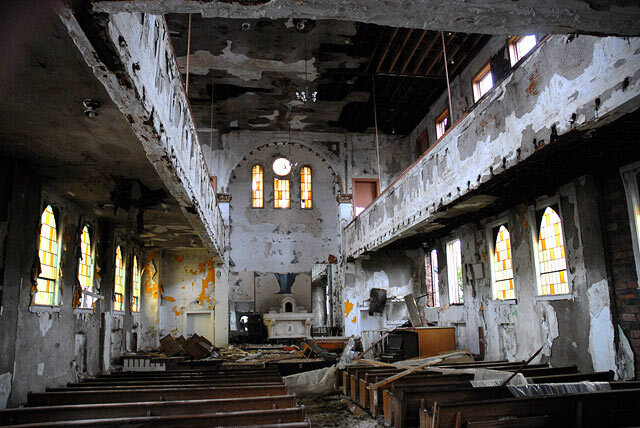 Much of the Jewish population moved by the 1950's and Mishkan Yisroel, like so many others, was sold to an African American protestant church. 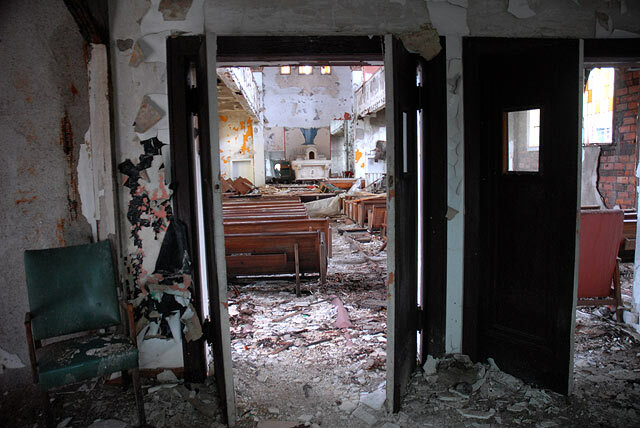 In its last days it was home to the congregation of "God's Inspirational Kingdom.